It is celebration time here at IES Master, as the First, Second and Third Ranks in ESE 2017, Civil Engineering branch (CE) are from our institute. Namit Jain has secured 1st rank, Pravind Singh 2nd Rank, and Ankit secured 3rd Rank in ESE 2017, all from Civil Engineering (CE) branch. It doesn’t stop here. In total, we have 6 students in the top 10 ranking. 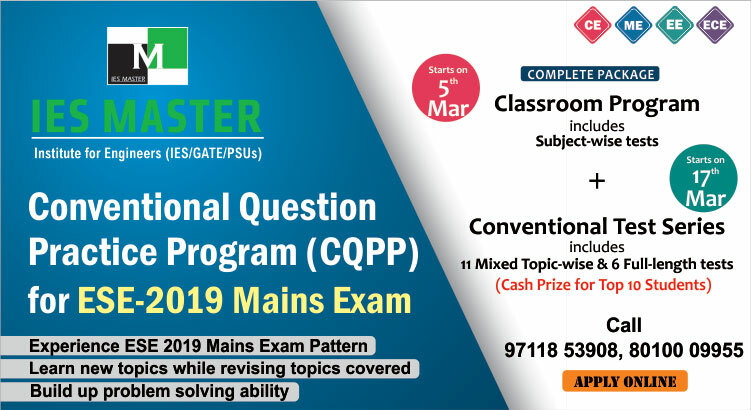 This is indeed a spectacular feat by the students of IES Master. Taking core branches in consideration, no other institute matches our strike rate, all credit goes to the commitment and dedication of our students. Congratulations Namit Jain on your huge success!! 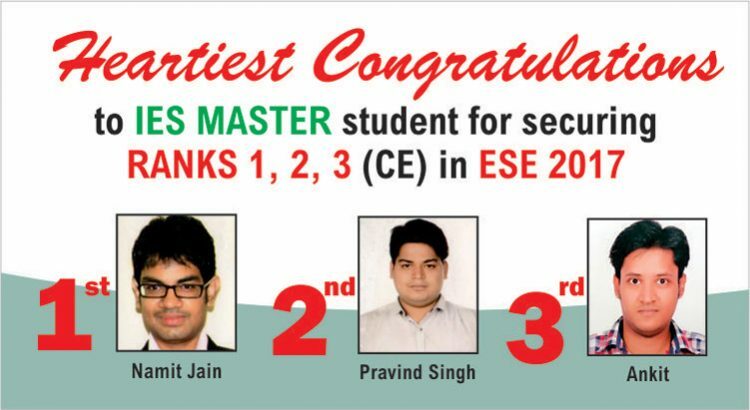 Congratulations to all of u..
Congratulations Namit Jain& Kanchan sir… And IES master for best results in ESE 2017. Really@ Kanchan sir is backbone of IES master.